Oh hello, Thursday! It’s so nice to meet you. Yep, ReadingWithYourKids is back with another episode of quality podcasting with your favorite authors and illustrators! YAY Margaux! introduces us to the thirteen-year-old, blind and deaf Margaux—a standard poodle who has beaten all odds. In the first Waggy Tail, we meet Margaux and her four poodle sisters who reside at the magical Poodle Resort & Spa. Tune in for all the great insights into YAY Margaux! Meet Margaux, a thirteen-year-old blind and deaf standard poodle. Margaux lives at the magical Poodle Resort & Spa with her four poodle sisters. When Margaux crashes into a sand castle, we see the difference between how Margaux’s older and younger sisters understand her disabilities. Everything changes when a thunderstorm scares all of the poodles except Margaux, who braves the storm to save the day for her younger sisters. 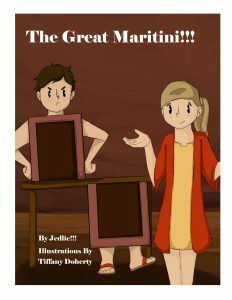 Waggy Tails are based on the real-life adventures of Margaux Jordan. Faced with challenges that would be the undoing of most people, Margaux met it all with her signature smile and can-do attitude. Along the way, she picked up a very loyal social media following who shared her struggles and triumphs. Now, children of all ages can join Margaux on her adventures in a series of picture books, The Incredible Adventures of the Awesome and Amazing Margaux. 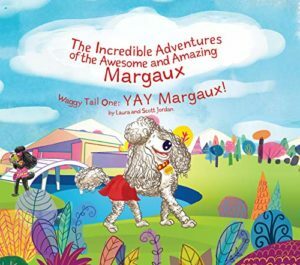 You’ll be won over by Margaux’s infectious smile and can-do attitude as you follow her adventures through the brightly colored pages and detailed illustrations of the magical Poodle Resort & Spa. Laura and Scott Jordan live in Idaho with their menagerie at the real Poodle Resort & Spa. Laura has a degree in Education from New York University and a law degree from the University of Illinois College of Law. Scott has a degree in Entrepreneurship from The Ohio State University and a law degree from Case Western Reserve School of Law. When they are not catering to their poodles’ every whim, the couple runs an online clothing company. Instagram as skortch and on Twitter as smagoon. What inspired Scott and Laura to write this book? 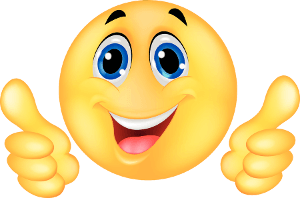 What kind of reactions they have been getting from young readers? Where online can you find more about YAY Margaux!? What are they currently working on and much more..
A big thank you to Scott & Laura Magoon for joining us and for sharing their wonderful stories with us! Tagged Author Interview children's books Diseases dogs Health Kidlit Kids & Family Physical Disabilities Picture Book Poodle stories Scott Magoon Special Needs The Incredible Adventures of the Awesome and Amazing Margaux Waggy Tail One Waggy Tail One: Yay Margaux! YAY Margaux! Read NextLet’s Discuss “Creepy, Funny, Middle Grade Reads” by David Neilson!